You can find “Admin Menu Editor” menu item under the “Settings” menu. It’s name is “Menu Editor”, without “Admin”. Do not be confused with that. “Admin Menu Editor” settings page looks nice. 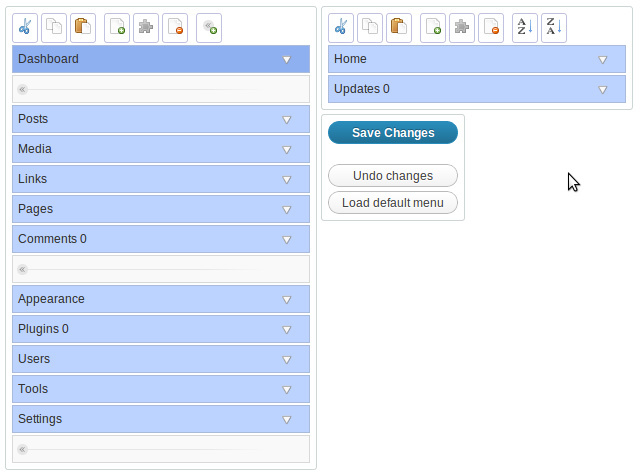 You see main WordPress menu column to the left and submenu for currently selected main menu item to the right. Use drag-and-drop technique to change the sort order of menu or submenu items. Both menu and submenu sections of Menu Editor have toolbars with the next actions: Cut, Copy, Paste, New, Show/Hide, Delete. You can add new separator to the menu. Submenu can be resorted in ascending or descending order automatically. You can change menu item title, required user capability, even PHP file WordPress will call when user click on this menu item. Do not forget to press “Save Changes” button before you leave “Menu Editor” page, if you don’t wish to lose your changes. In case you wish to return WordPress menu into its default state use “Load Default Menu” button. “…/wp-admin/edit-comments.php” and get WordPress comments moderation page. If security is important in your case, then change ‘required capability’ and use correspondent user role, modified with “User Role Editor” WordPress plugin instead. Let’s imagine that you wish to block comments moderation for your blog users with ‘Author’ role. As you know this feature is managed by ‘edit_posts’ capability now. Thus, if user can edit post, he can moderate comments for that post and see all other comments too. How to leave user functionality for editing posts, but remove comments moderation from him? 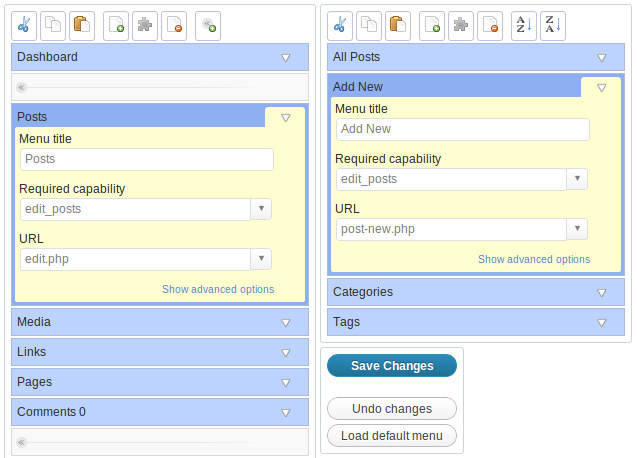 You can do that, not writing a line of PHP code, with help of “Admin Menu Editor” WordPress plugin. Just change value of ‘Required capability’ for “Comments” menu item and “All Comments” submenu item from "edit_posts" to "moderate_comments". Save your changes. That’s all. Users with “Author” role will not see “Comments” menu item anymore. 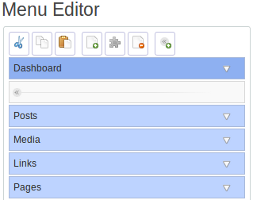 Free version of “Admin Menu Editor” WordPress plugin shows “Upgrade to Pro” links in two places of plugin settings page. If you decided, that free version functionality is quite enough for your purpose and you don’t plan to buy Pro version of this plugin, you have option to hide this Pro version advertisement. Insert PHP code, you see below, into your theme functions.php file to achieve that. This hack was tested with the plugin version 1.1.9. This entry was posted on Sunday, July 8th, 2012 at 03:27	and is filed under WordPress. You can follow any responses to this entry through the RSS 2.0 feed. You can skip to the end and leave a response. Pinging is currently not allowed.